Referring to reports of increase in Muslim population in several Assam districts, Gen Rawat had said the All India United Democratic Front's growth has been faster than that of the BJP in the 1980s. 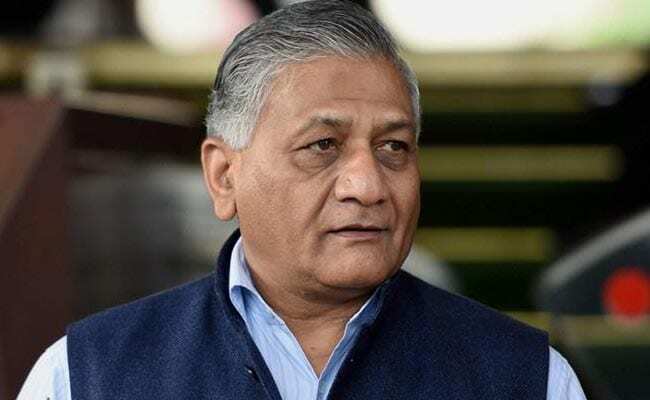 Mumbai: Union minister V K Singh Friday sought to defend Army chief General Bipin Rawat's remark linking AIUDF's growth to illegal immigration in the northeast. "See, we have a habit of politicising everything. Let the army chief say what he wants to. If you don't like it, you don't like it. That's it," Mr Singh, Minister of State for External Affairs, told reporters on the sidelines of an event. "Everything is being politicised these days," Mr Singh, a former army chief, said. Addressing a seminar in New Delhi on Wednesday, Gen Rawat had also said that a "planned" influx of people from Bangladesh into the northeast is taking place as part of proxy warfare by Pakistan with support from China with an aim to keep the area disturbed. AIUDF president Badruddin Ajmal had Thursday criticised the army chief for his "politically driven comments" and said his responsibility is to lead the armed forces for the security of the nation and not to monitor the growth of a political party.